Break the tradition by dining at a Western steakhouse this Chinese New Year. 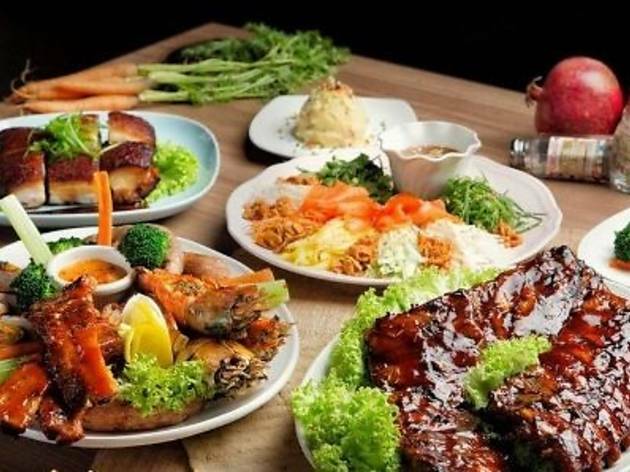 The Porkalicious Joy Luck Set starts with yee sang followed by a platter of spare ribs, pork sausages, grilled tiger prawns, maple-dipped bacon steak and creamy cheese dip. Continue with the deep fried Iberico pork belly and baby back ribs with plum sauce. Lastly, gorge on white wine-steamed prawns flambéed with brandy. 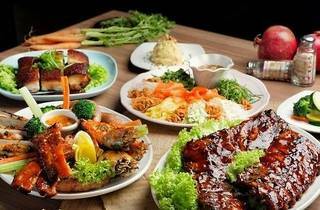 Available at all Chicago Rib House outlets in One Utama Shopping Centre and Cheras Leisure Mall.